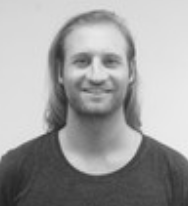 Tyler Jackman is currently studying a bachelor degree of Applied Entrepreneurship through the University of Canberra. Born in Penola, South Australia but has lived the majority of the past decade abroad, whilst working in the energy sector. Very interested in the innovation with smart energy and emerging technologies. Excited to join the team at SBC to learn and collaborate within the start-up environment.